Unieke Condo, rustige buurt, lopen naar de stad. Twee slaapkamers, twee badkamers condominium in een twee familie huis gelegen in een van Lenox de meest gunstige en rustige wijken. Laat uw auto op de oprit en loop naar alles wat Lenox te bieden heeft! Op de eerste verdieping is een comfortabele woonkamer met een tweepersoons slaapbank, badkamer met douche, wasmachine / droger, kleine kantoorruimte, keuken w / glazen blad oven, vaatwasser en magnetron. Toegang tot een kleine omheinde tuin van de keuken. Boven is de master bedroom met kingsize bed, tweede slaapkamer heeft een dubbelbed. Complete badkamer boven. Eerste verdieping badkamer heeft een douche, wastafel en toilet. Badkamer boven heeft bad / douche, wastafel, toilet en linnenkast. Great location,clean,homey perfect for three of us. Sandy was very helpful and welcoming. Spotless and convenient to Everything Berkshire! The apartment was absolutely spotless. It would be a comfy place for three people, possibly 4, with two bathrooms. It happened that we were only 2 people, so there was more than enough room. I loved that this was walking distance from Lenox, where we had a great breakfast at Haven and wonderful dinner at Cafe Zinc. A day spa at Canyon Ranch is worthwhile and that's under 2 miles away. We had family matters to attend to in Stockbridge and the only thing more convenient would have been the Red Lion Inn, but, frankly, escaping to Lenox was probably a good thing. Hope you 're heading up this way for fun. My family and I enjoyed a fantastic few days here over the recent MLK Weekend. We could not have been happier with the condo, the location, or the hospitality. We were a 25 min ride from Jiminy Peak, and after a day of skiing we looked forward to returning to this comfortable and clean condo. Though we received a good amount of snow and the temps were extremely cold, our hosts ensured the driveway was plowed and we were taken care of. The short 5-7 walk to town made access to the great restaurants and stores a joy. Fantastic condo where we'd love to stay again! This was our third stay at the Russell’s condo. It is perfectly appointed, clean, comfortable and a short walk to town. We look forward to our next visit. The house is large, comfortable, and very clean. The kitchen, bedrooms and bathrooms are well equipped with everything needed for a comfortable stay. The house is an easy walk to Lenox town center where there are plenty of restaurants and shops. The owners are friendly and helpful. 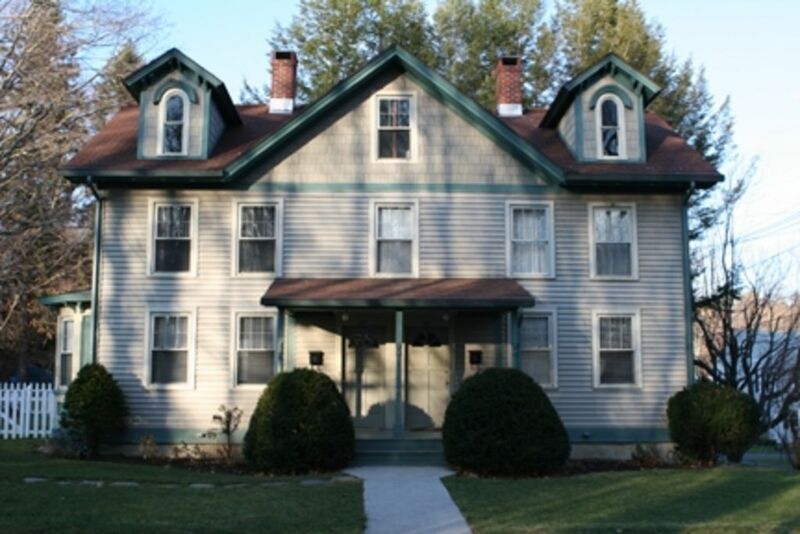 The house is just a short drive from many sights and things to do in the Berkshires. Zie een concert of theatervoorstelling in Tanglewood, Shakespeare & Co, Jacob's Pillow of Berkshire Theater Festival. Bezoek de Norman Rockwell Museum, Mass MoCa, The Clark Art Institute, The Mount of een van de andere grote musea. Loop door Pleasant Valley Wildlife Sanctuary of fiets door Kennedy Park. Zwemmen of kano in een nabijgelegen meer. Dineren in een van de meest vooraanstaande restaurants. Culturele evenementen, fantastische outdoor avontuur en de beste restaurants zijn allemaal onderdeel van de zomer in de Berkshires! 3-night minimum on midweek rentals. Monthly summer rentals include biweekly cleaning.